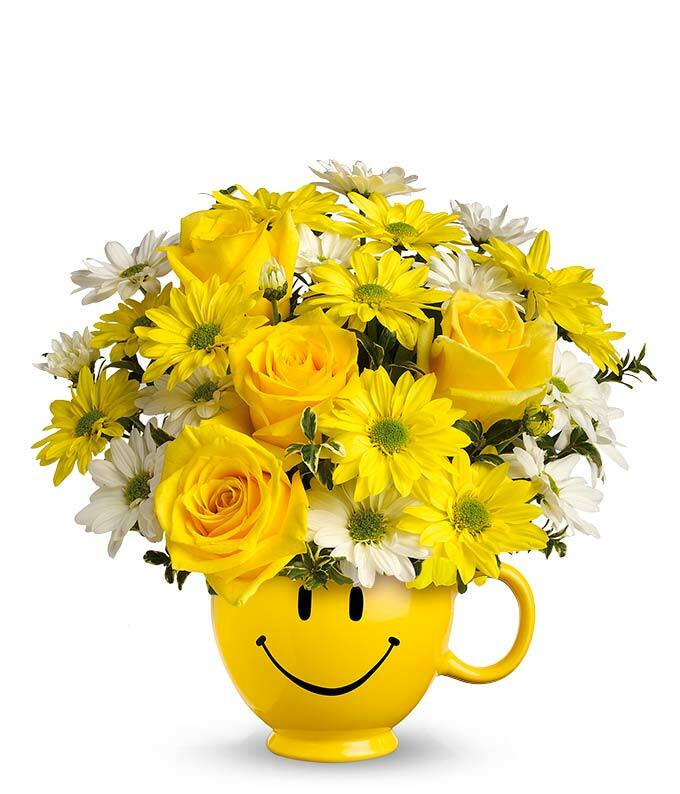 Sending someone a smile is as easy and sending them this smiling flower bouquet. The Be Happy Bouquet is the perfect give to turn someone's day around. This yellow smiley face mug is overflowing with seasonal yellow flowers such as daisies and roses, accompanied by white daisies sprinkled in. The best part is that the mug, after a good washing, is reusable, this this really will bring them a smile day after day. Perfect for morning coffee or afternoon tea, the this yellow treat is worth giving.